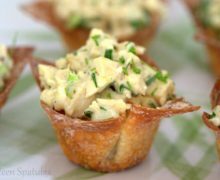 Wonton wrappers are baked until crispy and golden, then stuff with a flavorful green curry chicken salad. My obsession with cups and one bite nibbles continues. You already know that I love phyllo cups. And you already know I love endive cups. I eat my Thanksgiving dressing in cup form. And I even eat my breakfast in one bite, because clearly bacon, eggs, and toast all belong together, nestled into a muffin tin. Great things just happen when you put a bunch of different ingredients into one mouth-sized package. If you’ve got a crispy tooth, you will LOVE these. They’ve got the kind of obnoxious chomp that makes everyone in the room stare at you. That’s the sign of some insane crispiness. 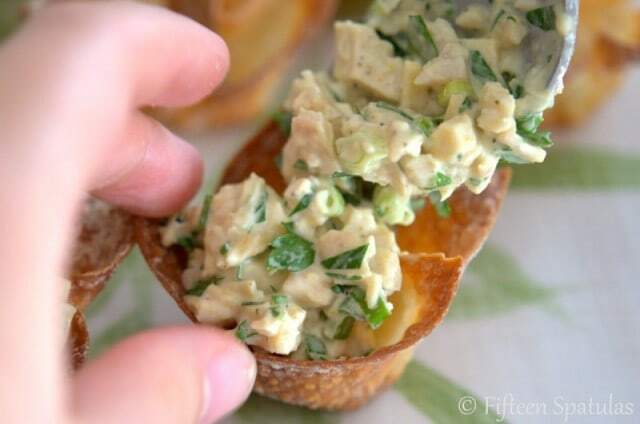 To make the wonton cups, place oil brushed wonton wrappers into a mini muffin tin. Bake for 10 minutes, until golden brown and crisp. And as you eat, note the different flavors going on in your mouth….that’s my favorite part. Green curry, lime, coconut, mmm. Make the green curry chicken salad by mixing to combine the chopped chicken, scallions, cilantro or parsley, lime juice, green curry paste, mayonnaise, and coconut milk. Let this mixture sit in the fridge for at least an hour, so the flavors meld. 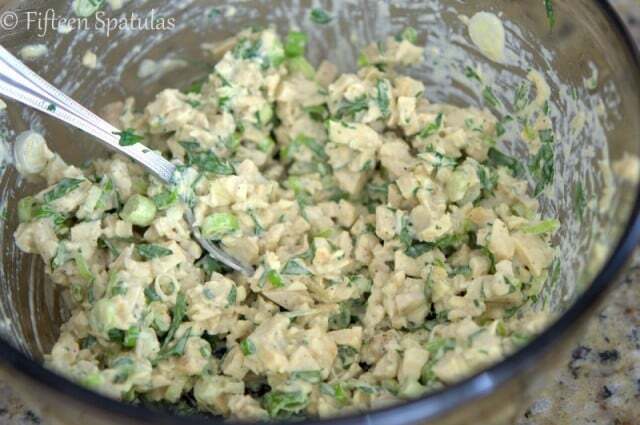 If you can even make this a day ahead of time, the flavors will be optimal the next day. 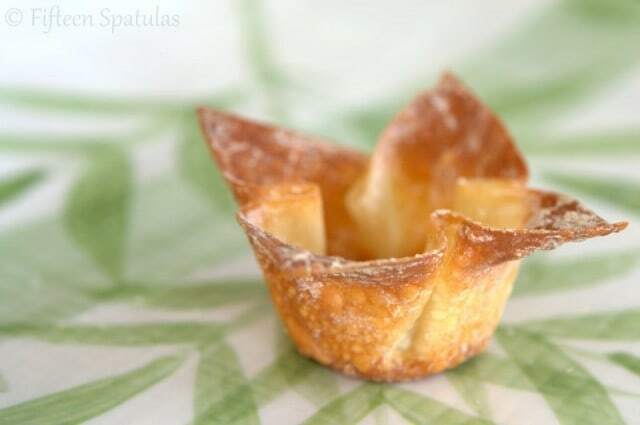 Brush each wonton wrapper with vegetable oil on both sides, then nestle it into the bottom of a 12-cup mini muffin pan. Repeat until the pan is filled, then sprinkle the wonton wrappers with salt. Bake for 10 minutes, until the wontons get golden brown and crispy. 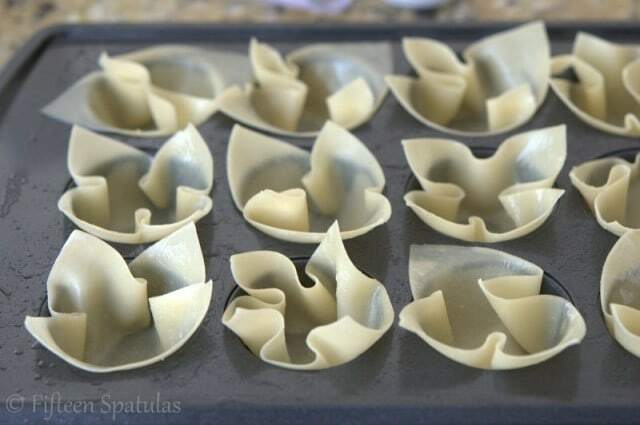 Let them cool down on a wire rack, and repeat with the remaining 12 wonton wrappers, so you have 24 wonton cups total. 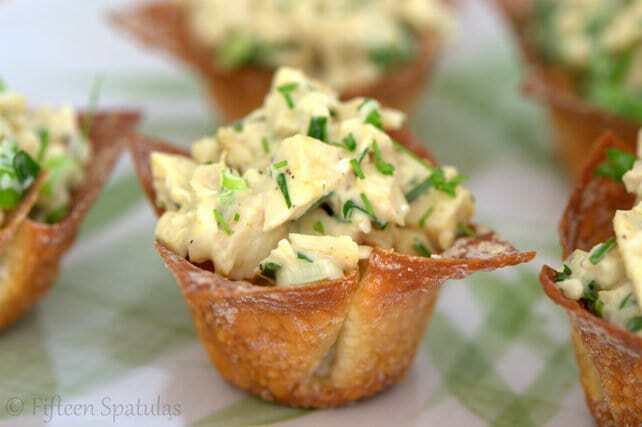 Once the wonton cups have cooled down, fill each one with a heaping pile of the green curry chicken salad. And be generous here! 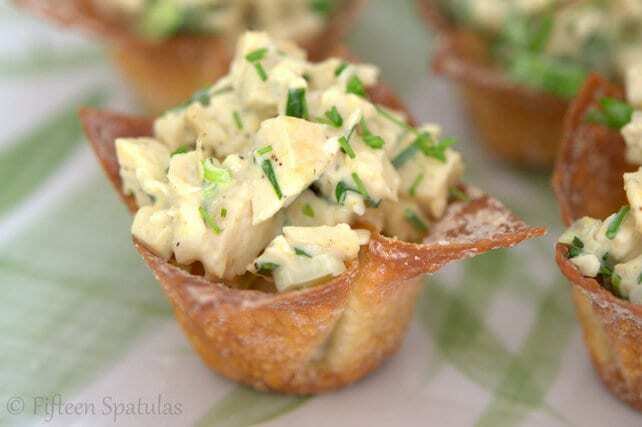 Garnish with snipped chives, and serve! 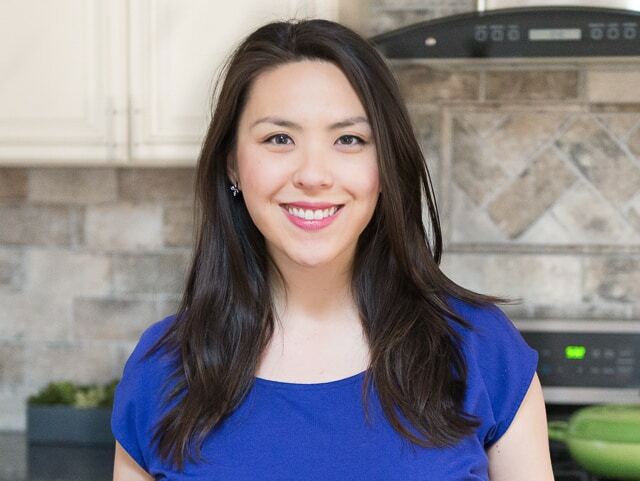 Should You Age Chocolate Chip Cookie Dough?